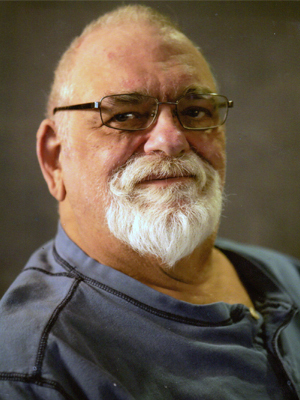 Steve Alvin Hafermann, age 70 of Prior Lake, passed away on Sunday morning, February 3, 2019. A funeral will be held Saturday, February 9 at 11AM with a visitation two hours prior, all at Holy Trinity United Methodist Church, 16150 Arcadia Ave. SE, Prior Lake. Pastor Chad Gilbertson will preside. Acting as an urn bearer is Steve’s friend, Brian Kane. Steve will be laid to rest at Concord Hill Cemetery, Lydia. On March 31, 1948 in New Prague, Steve was the first child born in a hospital to parents Earl and Edna Hafermann. Due to a breached birth, he was born with a broken jaw. This injury caused permanent hearing loss. With help from his sister, Steve learned to read lips. He became so good at it most people couldn’t tell he was hard of hearing. From a young age, Steve was all about family. He often helped his mom cook meals and played football and basketball with his cousins who lived in the same neighborhood. Along with Jerry, his brother, Steve worked on race cars at the Elko Speedway. Steven even held a perfect racing record—he placed first in his one and only race! Following his high school graduation in 1966 from Prior Lake, Steve began working in Farmington at a pool table company. By 1968, he was beginning what would be a thirty plus year career with Thermo King. Even in retirement, Steve found it difficult to stay idle. He drove school bus for Schmitty’s of Lakeville and Busse’s of Prior Lake. Steve’s life was enriched when he met a young woman, Kimberly Swenson. He won her heart by being himself, a kind and caring gentleman. On July 14, 1979 the couple wed at Holy Trinity United Methodist Church of Prior Lake. This union was blessed with two children and 26 years together. Family was the most important thing to Steve and Kim. The family enjoyed summers at the lake cabin, fishing, and most importantly, raising rabbits. A true family affair, the Hafermann’s have been raising rabbits since the 1940s. This tradition continued with Steve’s children. On weekends, Steve and the family were sure to tune into Vikings games, NASCAR, and wrestling. A true father figure, Steve’s kindness extended beyond his own family. He was regarded as a dad and grandpa by many other children. On April 9, 2005 Steve faced the biggest loss of his life. After a hard-fought battle with cancer, Kim passed away. He loved and supported her through it all. While this was a difficult time, the family grew closer together and stronger in their relationships with one another. Four years ago, Steve moved to St. Gertrude’s of Shakopee. Here he met new friends and found himself in a supportive community. His friends and the staff were always stopping by to chat or grab a piece of Hubba Bubba Bubblegum from his candy dish. With encouragement from the other residents, Steve reestablished his faith which had been shaken by Kim’s passing. Whether it was in person or playing Pogo games online, Steve was a friend too many. He was honest, friendly, and full of moxie. Steve is loved and missed by his children, Robert (Britney Kochlin) Hafermann, Sarah (Brendan Moore) Hafermann; siblings, Jerry (Arlene) Hafermann, Carol Rector; sister-in-law, Nancy Hafermann; brother-in-law, William Otting; other loving relatives and friends. Steve is greeted in Heaven by his wife, Kim; parents Earl and Edna Hafermann; brother, Douglas Hafermann, and sister, Jeanette Otting. So sorry to see this. He was such a cheerful man and so kind. He was my pal!! Super sweet and had a huge heart! He will be missed ❤️❤️RIP Steve! Steve was a classmate from the PL Class of 1966. He was always such a nice guy. I had the pleasure of getting to know him and enjoying his boisterous stories and views on life. He was a very unique guy and a joy to spend time with. He loved his family very much and missed his beloved Kim. Go in peace, Steve. Sending love and condolences at this hard time. Wishing you happy memories and peace. I had the pleasure of getting to know Steve and his boisterous outlooks on life. He loved his family very much and missed his dearest Kim. They are now reunited looking over us all. Go in peace, sir. I had the opportunity to know first hand how amazing Steve was. While I did not have the opportunity to know him later in life, I know I will see him again in heaven. God bless Robbie and his sister. So Sorry for your loss. Condolences and prayers to the Hafermann family. Steve was a classmate of mine in the class of 1966.. Steve was always full of spirit and laughs in class. God bless you RIP. Steve was a classmate of mine in the Class of 1966. Condolence and prayers to the Hafermann family. God bless you Steve – RIP. Rob, your dad was a dear friend as was your mom. He missed her and now that hole is filled. I will never forget the wall art that she did with his help downstairs at the church. I wish we had a picture of it. Your dad was always good for a hug, a big hug when I saw him. He is and will be missed. My thoughts and prayers are with you Sarah and family. Thinking of you! !